If the average person on the street was told that on Tuesday morning they’d be jumping out of a capsule at a height of 120,000 feet (22.7 miles), sending their body hurtling towards Earth at record-breaking speed, they’d probably break into a cold sweat at the prospect, or worse, mess themselves. 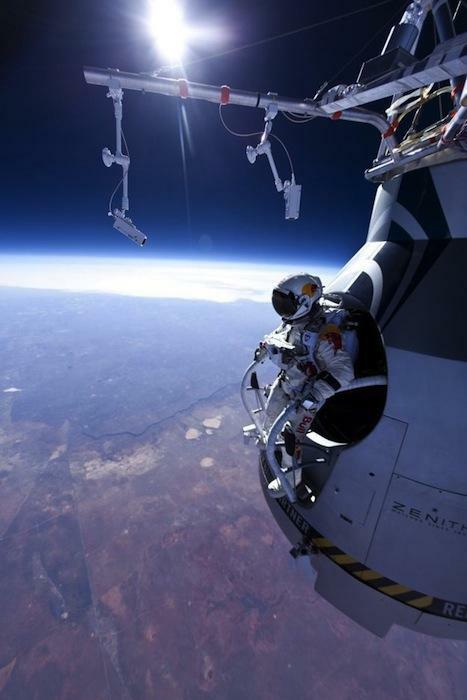 Not so Felix Baumgartner. The Austrian daredevil wants to do it. In fact, he’s going to do it. Today. The extraordinary leap, organized by Baumgartner and his Red Bull Stratos support team, has been five years in the planning. 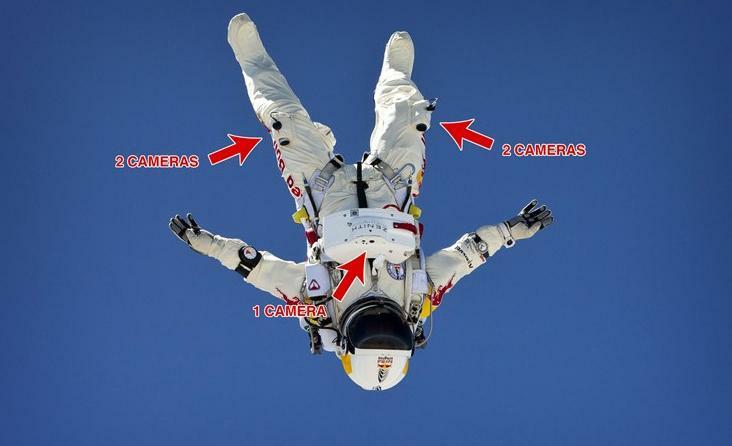 The fearless 43-year-old skydiver completed a practice jump – from a mere 70,000 feet (13.2 miles) – back in March. On Tuesday he’ll sail high above Roswell, New Mexico in a special pressurized capsule carried by a 750-foot-high helium balloon to a height more than three times that at which commercial airlines fly, a place so high he’ll be able to see the curvature of the planet. Once he steps out of the capsule in his specially-designed pressurized suit – equipped with cameras to record the jump – he’ll accelerate to a speed of around 690mph (1,110km/h) within 40 seconds, breaking the speed of sound in the process, making him the first human ever to break the speed of sound without the use of a vehicle. One of the most important parts of the mission is the leap. Baumgartner must make sure he steps out from the capsule precisely as planned or risk spinning out of control, which could result in him losing consciousness. However, no one knows for sure what, if anything, will happen when Baumgartner breaks the speed of sound. If all goes to plan, Baumgartner will open a parachute at around 5,000 feet to bring him safely back to Earth. Speaking to BBC radio about the jump, Art Thompson, the technical project director of Red Bull Stratos, said any records achieved during the leap were incidental. “The function of this entire program is from a scientific point of view,” Thompson said. “When you look at the accidents like with Columbia or Challenger, we believe that you’re actually capable of exiting a vehicle at high speed and capable of understanding how to control your descent.” NASA is reportedly in touch with the team and will be watching Baumgartner’s jump with great interest, along with the rest of us. Weather permitting, the mission will begin at around 8.30am ET and will be streamed live on the Red Bull Stratos website here.